Expressions of interest are invited by the 1st of June for the BSLS Winter Symposium in 2019. As members will recall, this is a postgraduate and early career researcher-led event and presents a great opportunity to run a successful event at this stage in your career (with help and support from the BSLS Committee throughout the process). Proposals are invited for a themed one-day event to take place in or about November, to be emailed to Rachel Murray at r.e.murray@lboro.ac.uk. As ever, it is hoped that the event will have a 'non-conference' feel, and will include different types of papers, panels, and ways of sharing knowledge. Proposals should be no longer than two sides of A4, and should include a theme and description, details of the organising group and location, potential speakers (if known) and types of papers, panels or other sessions to be included. The BSLS will award around £500, depending on the budget required, in support of the symposium, which should be free to attend if possible. For more about the symposium, including details of past events, see here. The first issue of the relaunched journal was published in February 2019, available at www.alluvium-journal.org . In June 2019 we are due to publish a special edition of the journal devoted to the Global Contemporary: Ecologies of Gender and Class within the Combined and Uneven Anthropocene. As illustrated most prominently by the calls for a Green New Deal in the US, we live in an age when alternative political imaginaries are addressing the political and infrastructural necessities of combating symptoms and causes of cataclysmic climate change. Conversely, they are forced to confront: the epistemological difficulties, fragility of language and demobilizing anxiety associated with catastrophe; political recalcitrance; globalized mechanisms of disavowal and normalised precarity; and an underlying system of capital premised upon the exploitation of natural and social ecologies as well as the transnational flow of goods. Literature -- through the allegorical, the speculative, the psychological and phenomenological -- can provide an encounter with the ethical imperatives, hidden forces and effects which make up the Now as well as a way of signalling the future in its Utopian and terminal dimensions. Abstracts should be submitted as soon as possible -- and ideally by May 6th -- whilst the deadline for submission of articles is May 24th. Can literature and narrative improve the lives of young people? We will bring together literary and humanities scholars with service users and practitioners in the field of child and adolescent mental health. Together we will ask questions about the role of literature as a point of therapeutic engagement in caring for children, adolescents, and young people. We are interested in how literature might play a role when we experience pain, trauma, and stress, as well as the ways in which literature might be employed as a tool to improve communication and foster understanding between medical learners, healthcare providers, service users, and family members. To register, please visit the booking link. · Papers, including those with performative elements (10-20 minutes). · Low tech workshops, installations, demonstrations or performance (up to 60 minutes). Negative Affects We are also holding a joint session aligning with the Bodies and Performance WG theme of Negative Affects, Performance and Bodies and that of our own interim event on human repair, regeneration and bodily alteration. We invite proposals that engage with the body and bad feelings, and how scientific discourses and technologies of repair, replacement and augmentation might alleviate or exacerbate those negative feelings. Submitting a proposal Please send a 300-word (max.) proposal and a short biography in a Word document via email. Please also include precise details of your resourcing needs, for example, any audio-visual technology, or a particular type of space (e.g. drama studio) that you will need to make your presentation. Email abstracts and information to the Working Group conveners, Alex Mermikides and Paul Johnson, at perfandscience@tapra.org The deadline for the submission of proposals is Monday 8th April 2019. Early Career Researchers Bursary Scheme: If you are an Early Career Researcher, then you are eligible to be considered for a TaPRA ECR Bursary. Please follow this link for more information, and please indicate on your proposal whether you fit the criteria and wish to be considered for the bursary scheme: http://tapra.org/bursaries/ Postgraduate Bursary Scheme: There will be a separate call for PG Bursaries later in the year, but please do indicate in your proposal whether you are planning on applying to the scheme. The Performance & Science Working Group invites applications to attend our Interim Event at King’s College London, which takes up the theme of bodily regeneration, repair and replacement. The emerging sciences of regenerative medicine promise the possibility of combating terrifying disease and physical trauma. They also sharpen our fears about cyborg and synthetic beings. This ambivalence offers rich ground for performance-makers and those who study the interface between theatre, performance and the human sciences. The event involves meetings with scientists at the cutting edge of regenerative medicine, a tour of the laboratories at the Centre for Stem Cells and Regenerative Medicine and of the Spare Parts exhibition, a working dinner and attending a related science-performance. The event is FREE to all TAPRA members but places are limited. To apply for a place, please email perfandscience@tapra.org by 12 April 2019 with a brief (100 word) outline of how the event will support your current or future research. Priority will be given to those whose research aligns most closely with the event. Postgraduate students can also apply for support with travel costs – please include estimated costs in your email. The criteria for funding will be lack of institutional support, alignment of research interest to the event, cost of travel. All participants must be TaPRA members. If you are not currently a member, you will be asked to join the organization at the interim rate of £15 before the date of the event. 4- 5.30 pm: tour of the Spare Parts exhibition at the Science Gallery. This exhibition explores the art, science, ethics and technology that enables human repair and alteration. It considers the emotional and psychological aspects of living with a replacement organ or limb; organic or engineered. 5.45-6.45pm: working dinner: reflecting on performances of bodily repair, replacement and recuperation. New Organs of Creation presents a hypothetical development of the human larynx (voice box), using tissue engineering, to extend the ability of the voice as a transformational instrument. The project is made in collaboration with Prof Lucy Di-Silvio who used tissue engineering to grow human cells on the prototype anatomical larynx. Please see link above for further details. Congratulations to the shortlisted authors! The winner will be announced at the conference dinner in April. The four main options distinguish between residential and non-residential registration for the waged and the unwaged. Choose one of these options. The fifth option concerns the conference dinner. Any problems with the online process? BAVS CONFERENCE 2019: VICTORIAN RENEWALS. SCVS is delighted to be co-hosting the British Association of Victorian Studies 2019 conference at the University of Dundee, 28-30 August 2019, on the theme ‘Victorian Renewals.’ The CFP has now been released (PDF below), and we are accepting paper proposals for a deadline of 1 March 2019. Confirmed keynote speakers include Prof Jo McDonagh, University of Chicago; Prof Heather Shore, Leeds Beckett; and Prof Lorraine Janzen Kooistra, Ryerson University, Toronto. The opening day will feature a plenary roundtable on ‘Scotland and Victorian Studies’, with Prof Gerry Carruthers, Prof Penny Fielding, Prof Aileen Fyfe and Prof Murdo Macdonald. Conference website, hosted by Dundee and Angus Convention Bureau. The conference will start on the morning of the 28th and end mid-afternoon on the 30th. Sessions will take place on the university campus, which is in the city centre, approximately 10-15 mins walk from the railway station. 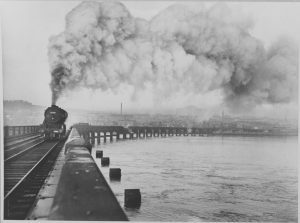 Dundee’s Victorian heritage and influence is visible throughout the city, but our theme also celebrates the ongoing renewals and renovations of this heritage, most notably embodied in the £1bn renewal of the waterfront and its flagship building, the V&A Museum of Design, opened in September 2018. Dundee is an easily walkable city, and attractions for Victorianists also include the McManus Gallery and Museum, Verdant Works (the Jute Museum) , HMS Unicorn, and the rich research materials held by Dundee Central Library and Dundee City Archives. It has a thriving arts and creative scene and there are numerous entertainment and eating and drinking venues within a short walk of the conference location. The city is readily accessible by train from either the West Coast (Glasgow- c.1.5 hours to Dundee) or East Coast (Edinburgh – c.1-1.5 hrs to Dundee) main lines. It is also accessible by bus or train from Edinburgh or Glasgow airports, which are served by most major airlines, and limited flights are available from London Stansted to Dundee Airport (Loganair) around the conference dates. A conference discount of 30% applies to Stansted-Dundee flights from 27-30 August (see the main conference website for details). For further information or conference queries, email the conference address: bavs2019@dundee.ac.uk, or contact lead organisers Kirstie Blair (kirstie.blair@strath.ac.uk) or Daniel Cook (d.p.cook@dundee.ac.uk).